URBANA – Recent studies have linked caffeine consumption to a reduced risk of Alzheimer’s disease, and a new University of Illinois study may be able to explain how this happens. “We have discovered a novel signal that activates the brain-based inflammation associated with neurodegenerative diseases, and caffeine appears to block its activity. This discovery may eventually lead to drugs that could reverse or inhibit mild cognitive impairment,” said Gregory Freund, a professor in the U of I’s College of Medicine and a member of the U of I’s Division of Nutritional Sciences. Freund’s team examined the effects of caffeine on memory formation in two groups of mice—one group given caffeine, the other receiving none. The two groups were then exposed to hypoxia, simulating what happens in the brain during an interruption of breathing or blood flow, and then allowed to recover. The caffeine-treated mice recovered their ability to form a new memory 33 percent faster than the non-caffeine-treated mice. In fact, caffeine had the same anti-inflammatory effect as blocking IL-1 signaling. IL-1 is a critical player in the inflammation associated with many neurodegenerative diseases, he said. “It’s not surprising that the insult to the brain that the mice experienced would cause learning memory to be impaired. But how does that occur?” he wondered. The scientists noted that the hypoxic episode triggered the release of adenosine by brain cells. “Your cells are little powerhouses, and they run on a fuel called ATP that’s made up of molecules of adenosine. When there’s damage to a cell, adenosine is released,” he said. Just as gasoline leaking out of a tank poses a danger to everything around it, adenosine leaking out of a cell poses a danger to its environment, he noted. The extracellular adenosine activates the enzyme caspase-1, which triggers production of the cytokine IL-1β, a critical player in inflammation, he said. “But caffeine blocks all the activity of adenosine and inhibits caspase-1 and the inflammation that comes with it, limiting damage to the brain and protecting it from further injury,” he added. 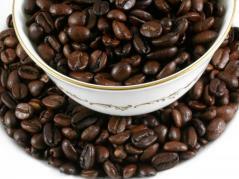 Caffeine’s ability to block adenosine receptors has been linked to cognitive improvement in certain neurodegenerative diseases and as a protectant against Alzheimer’s disease, he said. “We feel that our foot is in the door now, and this research may lead to a way to reverse early cognitive impairment in the brain. We already have drugs that target certain adenosine receptors. Our work now is to determine which receptor is the most important and use a specific antagonist to that receptor,” he said. The study appears in the Journal of Neuroscience and can be viewed online at http://www.jneurosci.org/content/32/40/13945.full. Co-authors are Gabriel Chiu, Diptaman Chatterjee, Patrick Darmody, John Walsh, Daryl Meling, and Rodney Johnson, all of the U of I. Funding for the study was provided by the National Institutes of Health.